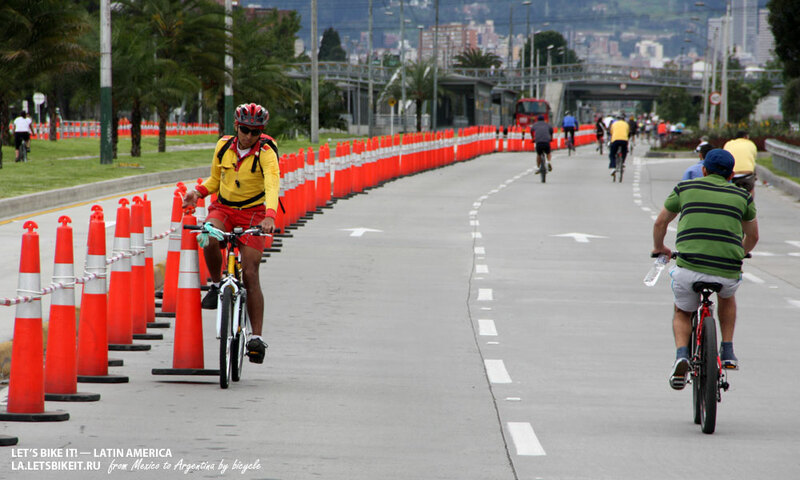 121 km of city streets and about 2 million cyclists every Sunday, a program, copied by more than 500 cities worldwide — it’s a Colombian Ciclovía. In this article — a history of the program, an interview with its curator from Bogotá Recreation Department and lots of pictures. The literal translation from Spanish for “Ciclovía” is «a bicycle lane». Our first acquaintance with Ciclovía wasn’t much of a pleasure. 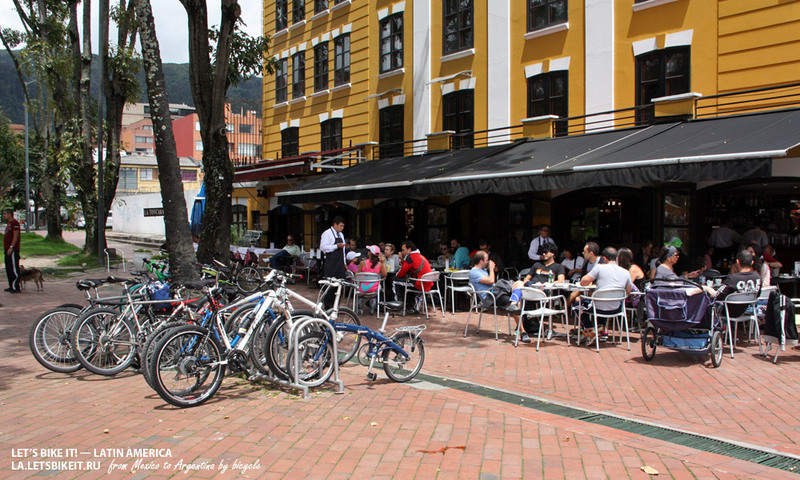 While being in Bogotá we had to change a few hosts, and on the first Sunday we happened to be near Boyacá avenue — the part of Ciclovía. It’s a wide transport artery which runs through the whole city and presents a way to get from the northern to the southern part for cars, public and goods transport. Boyacá incessantly stays stock-still with an enormous amount of pollutants being discharged in the air, but a part of Ciclovía goes exactly through the center of this street. The mysterious meaning of choosing such a strange place for holding a sports and fitness event I discovered a bit later. A section of Boyacá avenue gives the opportunity to get on your bike from a poor southern part of the city to a reach northern one and back. From Boyacá avenue we turned to the 26th street. From that point my impression changed a lot: the street was so long and wide that it seemed empty — the cyclists almost vanished in it. Then there was a historical center of the city, from which the 7th avenue begins, the place of majority of manifestations, strikes and parades. The history of Ciclovía started from that avenue. A flow of cyclists mixed up there with crowds of tourists and pedestrians, something was happening on each square meter. 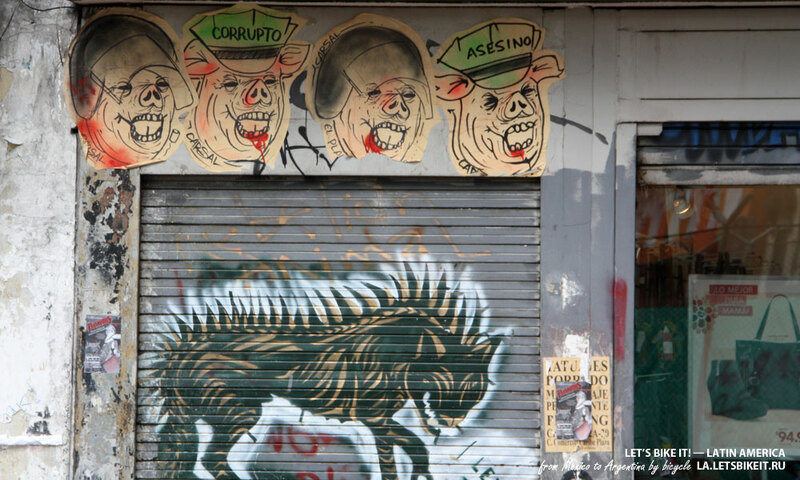 Political street art decorates almost every wall in the historical center. In 1976 first attempts were taken in order to organize Ciclovía. Four areas were assigned for the festival and, though the opening of Ciclovía gathered a lot of people, it was admitted to be unsuccessful. It took six more years for Ciclovía to become a persistent event. At the same time students continued to organize regular “student bike-caravans”, which run through the whole city. The first of them gathered 80 people, but soon the number of participants increased up to 5000. The 7th avenue was one of two streets blocked by a student manifestation. 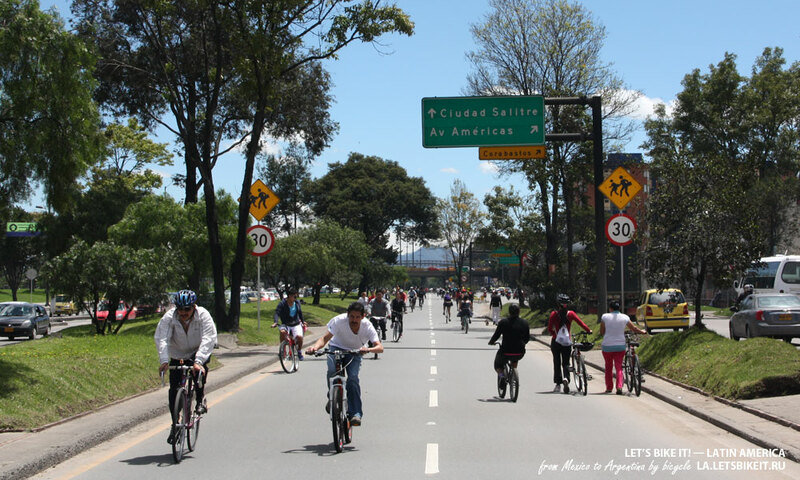 Nowadays it’s not only one of the main transport arteries of the city, but an important part of Ciclovía as well. In 1981 the first national Day of Cycling was celebrated and in 1982 Ciclovía’s organizational committee was first established in Bogotá. The event was held from 7 a.m. to 1 p.m. back then, but on a continuing basis. 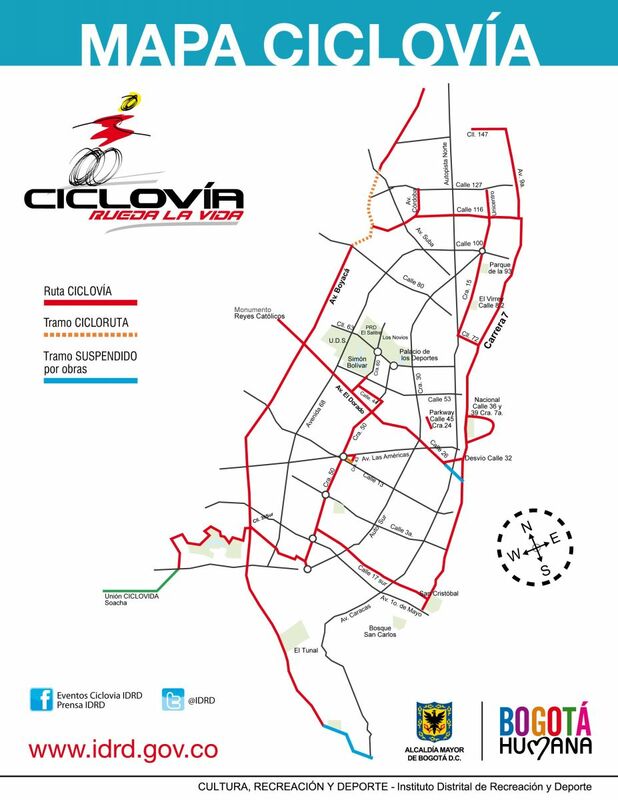 In 1984 due to the goal, set by the mayor: to make Ciclovía available for all city districts, its length became about 54 km. The organization, which at that moment presented merely placing road signs, was under control of the Ministry of transport. 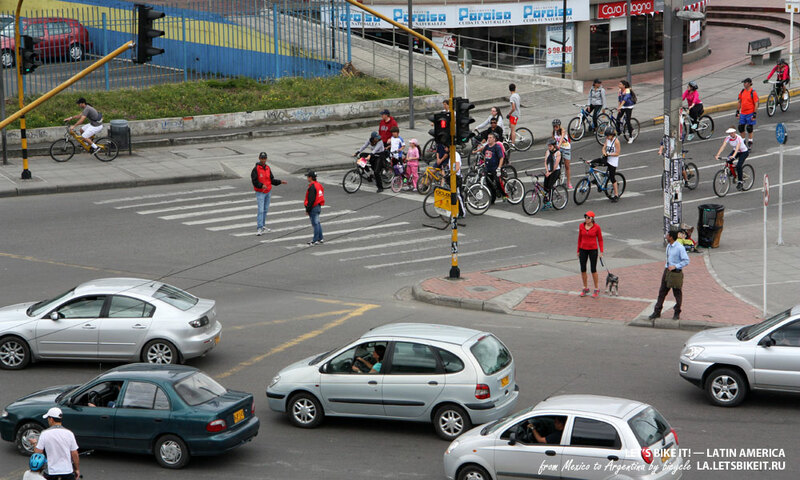 The crossroads were still dangerous and because of that from 1986 Ciclovía started to lessen again. 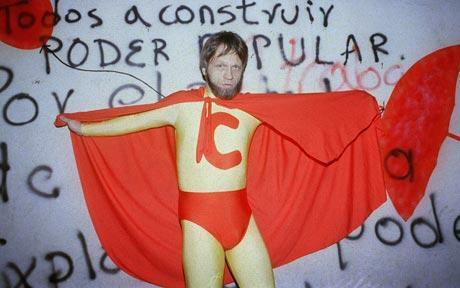 On the picture: Antanas Mockus. 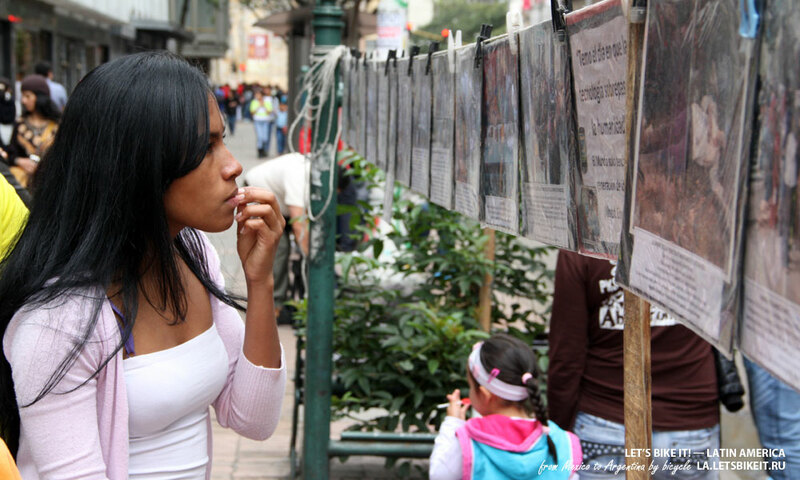 A motion picture “Bogotá Change” tells a modern history of a Colombian capital. After the year of 1994 thanks to the courage of two mayors — Antanas Mockus and Enrique Peñalosa — this city discovered the way to get from degradation and decay to development, significantly improved people’s lives. 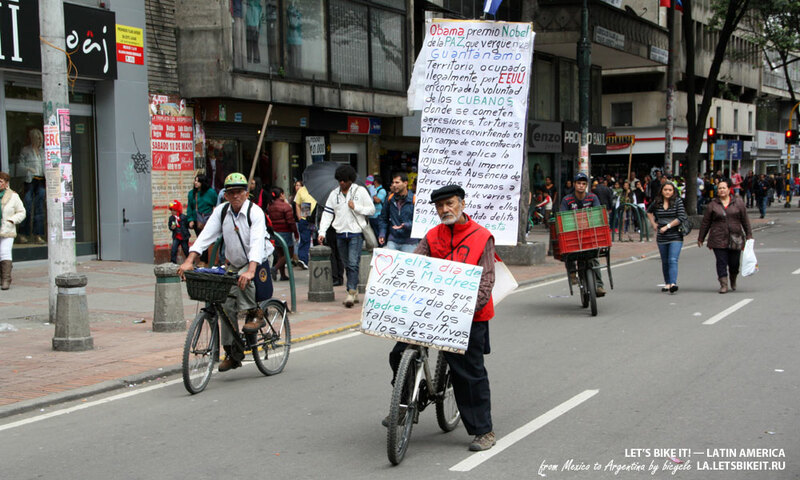 In 1995, when Antanas Mockus came into the office, Ciclovía was only 24 kilometres long. But from that year, Ciclovía was meant to be changed and became at first the main recreation project in Colombia and then — the example for the rest of the world to follow. As a result of a personnel shuffling which took place in the mayor’s office, Ciclovía was placed under control of the Ministry of recreation and sports (Instituto de recreation y deporte, I.D.R.D) Then started the designing of ways of joining different parts of Ciclovía together, so that it was more convenient for the citizens. A priority was given to the routes connecting parks, then sport objects and later — cultural, tourist and historical places of the city. The same year I.D.R.D. presented a unique style and shape of Ciclovía. A number of entertainment and sport events called RecreoVia emerged as well. In 1996 due to the transformation caused by the restoration of urban space, Ciclovía’s length increased to 81 km. 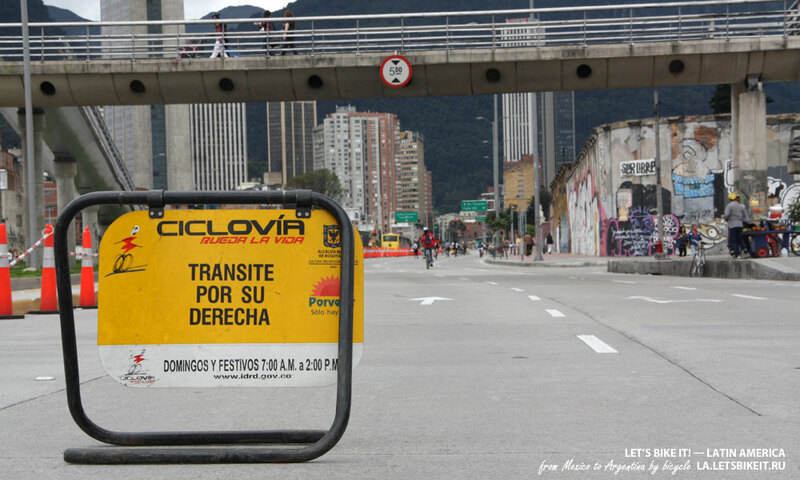 It was also offered to change a period of day taken by Ciclovía — 7am — 3pm ( it worked only twice in that regime). But the change led to indignation of car drivers, so the time frame was decreased. From those times Ciclovía’s conducted from 7am to 3pm on a continuing basis. 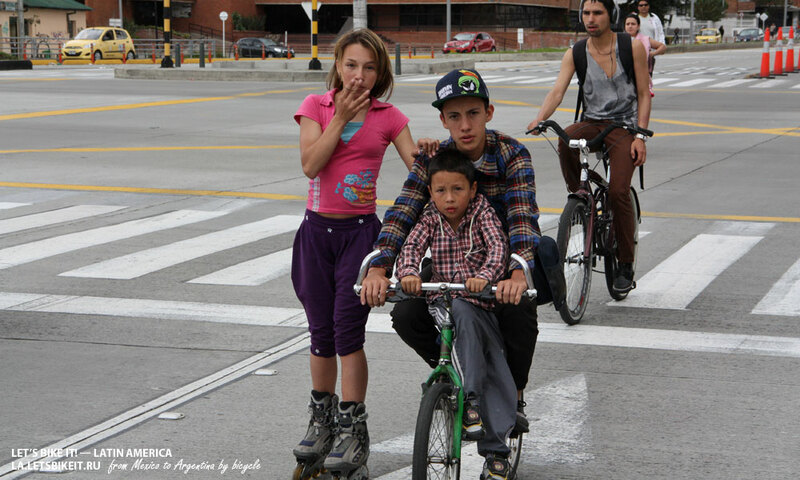 Ciclovía is a space we’ve gained all together, every citizen of Bogotá, not depending on social status. 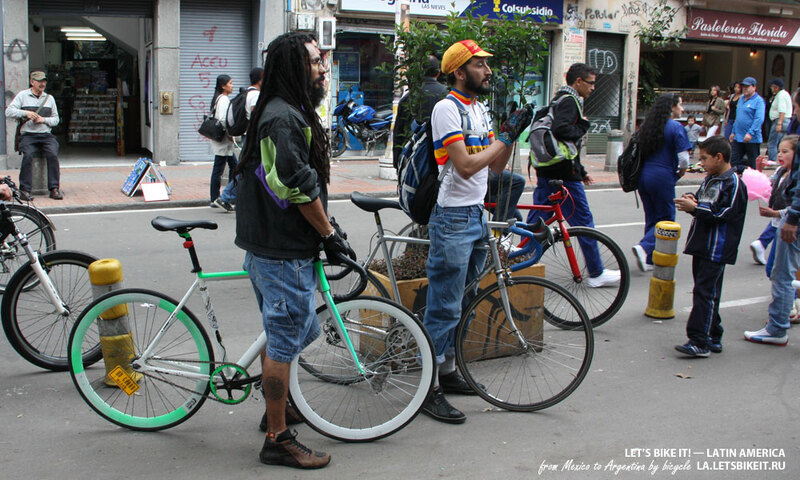 Ciclovía is a Bogotá’s soul. She’s continuing to grow, not only as a socialization area, which unites all social classes, but also as an example, that mobility, when it comes to the city, can be different. Transformation of streets, which were given to the cars through the week, in public places for people is not only encouraging, but also invites one to join the world of “green” transport which bicycles are a part of. 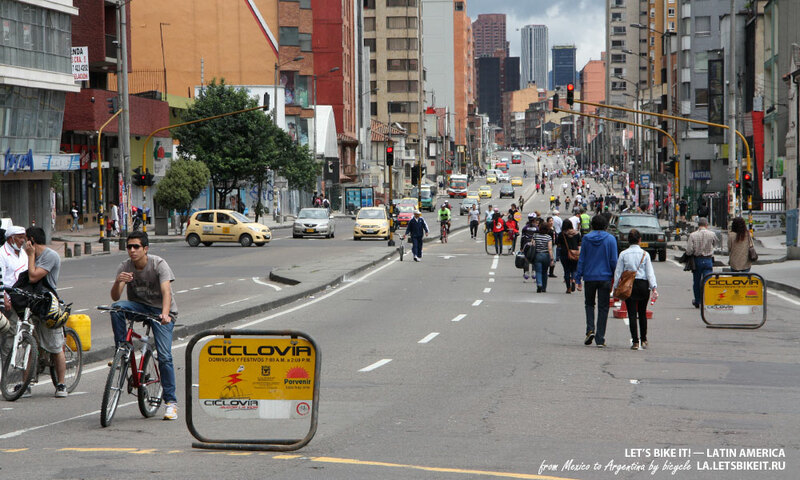 For us, citizens of Bogotá, Ciclovía — is a symbol, something that lives in our minds, hearts and souls. My meeting with the head of Ciclovía, Francisco Canon, was pre-arranged on an early Sunday morning in the office of the Department of leisure and sports. I had to enter through the backyard for I was with a bike. 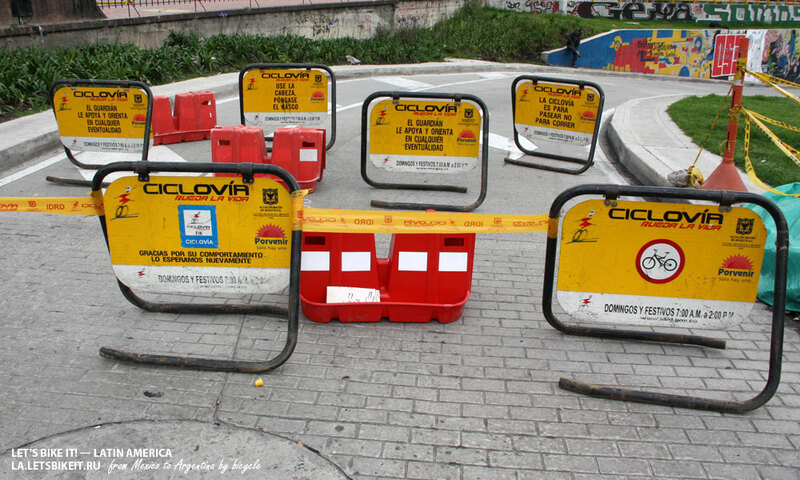 There I found a packed bicycle parking and a bunch of brand new road signs for a legendary Ciclovía. I was met by a smiling lady in a yellow-red uniform. 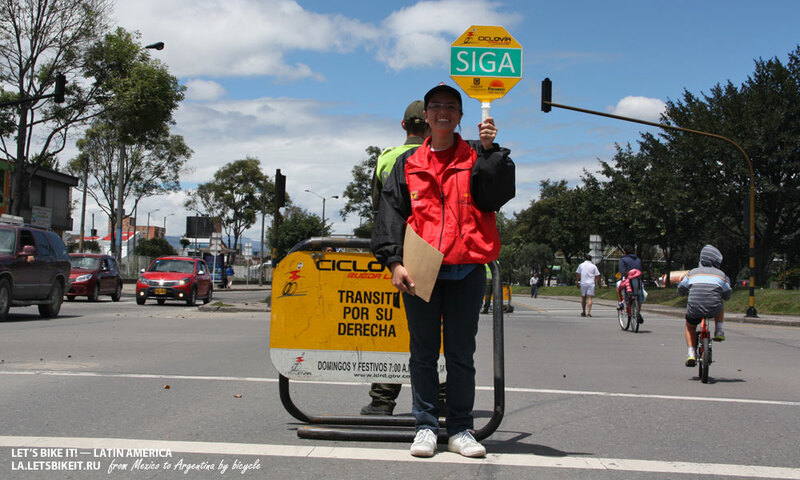 She was one of 200 guardians of Ciclovía, who had to win the contest held among the senior students every year. It’s funny that though the backyard of the Department was paled, I checked in at the entrance and all equipment I had was registered by a security officer, smiling lady asked me to take my bike inside their office. Francisco Canon met me with a smile as well. It seemed that only absolutely happy people work there, they were busy with the labour of love and literally forgot that it was an early Sunday morning. After a small presentation dedicated to “Let’s bike it” project, we started talking about Ciclovía. You block 120 km of streets every Sunday, how do car drivers react? If something like that happened in Moscow, there could be a lot of fuss about it. It’s logical (laughs). It seemed unbelievably to do that here. Therefore at first we were organizing bicycle marathons without blocking the streets. 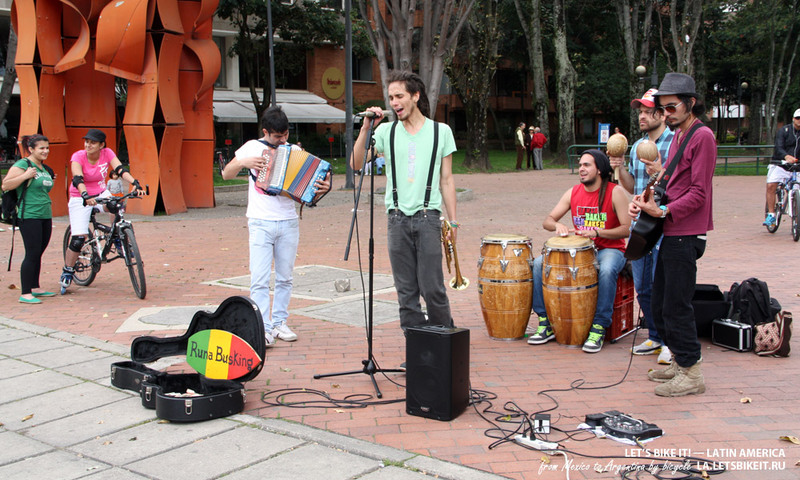 Today Ciclovía is a big event, which has a significant influence upon cultural life of the city. As more and more people join the event, the program becomes stronger. That’s what helped Ciclovía to grow. We are in charge of organizational questions, logistics, blocking the streets, but as a matter of fact the only thing which supports the idea — is a good will and participation of our fellow citizens. Bogotá got used to Ciclovía, today almost everybody think that it’s the best linear park in the world… at last in the country. The park, where everybody can walk, have fun with a family, do sports for free, take part in the celebration of some event. 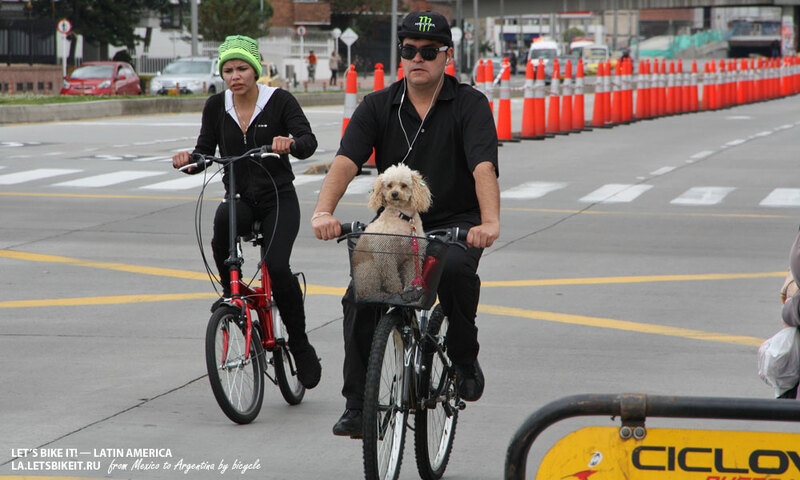 Today it’s hard to imagine, that a government will emerge, which could restrict Ciclovía. I think 1.8 million of people, who take part in the event every week, will fill the streets. It’s impossible to close the best program we have in Colombia. 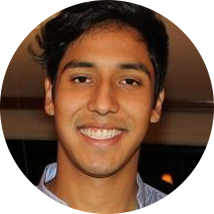 Before June, 2013 the uniform of promotores (esp. promotor — advertisement specialist; publicity agent) was of a yellow-red color, and they called themselves guardianes (исп. guardián — keeper, guardian). The changes came by a new mayor’s office will. At the moment the uniform is white. A million and a half thousand citizens, how much percentage is of the whole population of the city? The population of Bogotá wasn’t counted for 10 years, but it’s about 8 million people, or a bit more. 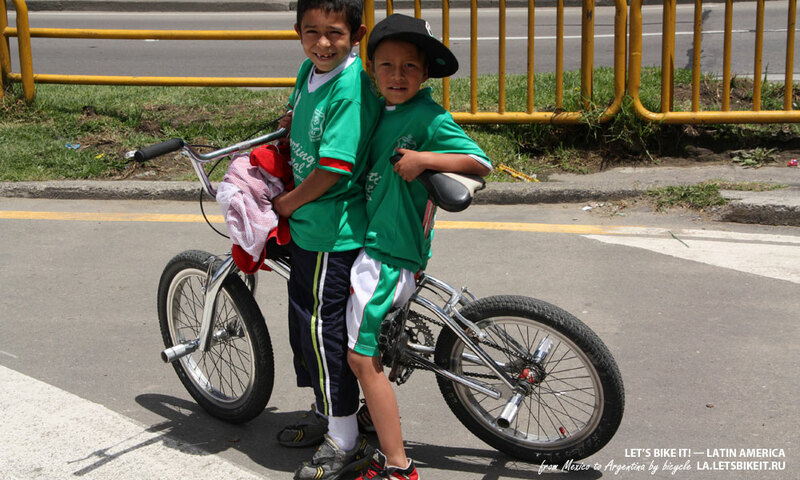 So, 30% of citizens take part in Ciclovía every week. But when it’s rainy this percentage is smaller — about a half a million, a million. And how much people it needs to organize so high scaled an event? We have 200 promotores, 19 managers, who coordinate concrete sections of Ciclovía, plus 4-5 people here, in the headquarters. But we also work with people from RecreoVia (esp. road of recreation). They work at 20 stationary points providing different types of activities, like aerobics, for example. We also work with national police forces, which help us to control the traffic. Senior students help with giving instructions to the participants of Ciclovía: tell about cycle helmets, ask not to ride too fast, control the traffic on the crossroads etc. 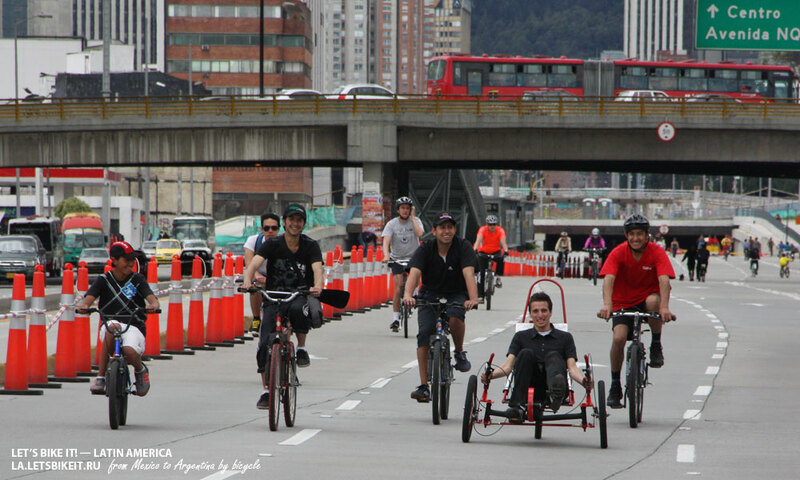 All in all about 1000 people organize Ciclovía every week and develop it. Happy police helps to organize Ciclovía. 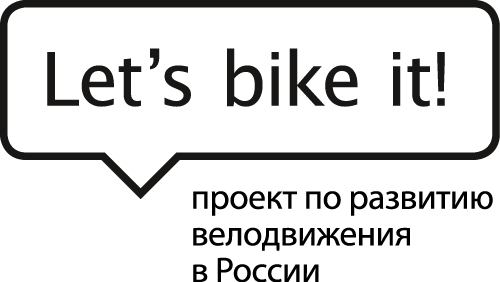 Bike repair shop is a payable service. 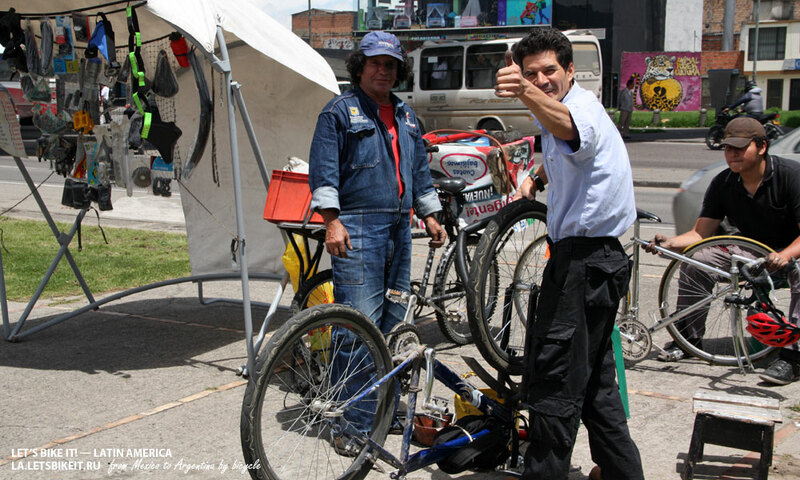 Thus Ciclovía gives the opportunity for mechanics from poor districts to earn some money. A guardián of Ciclovía removes road signs after the Ciclovía’s ending. 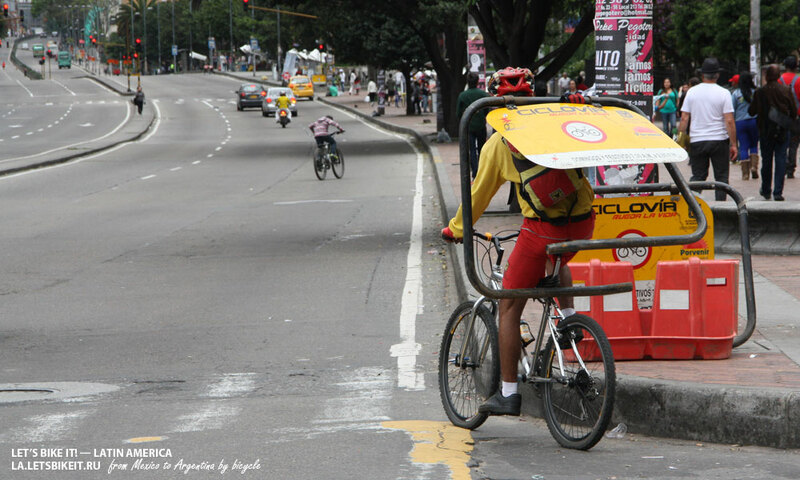 Ciclovía here, in Bogotá, has a tremendous success among the citizens, do you continue to work for it to be even popular, or it’s an independent tradition? 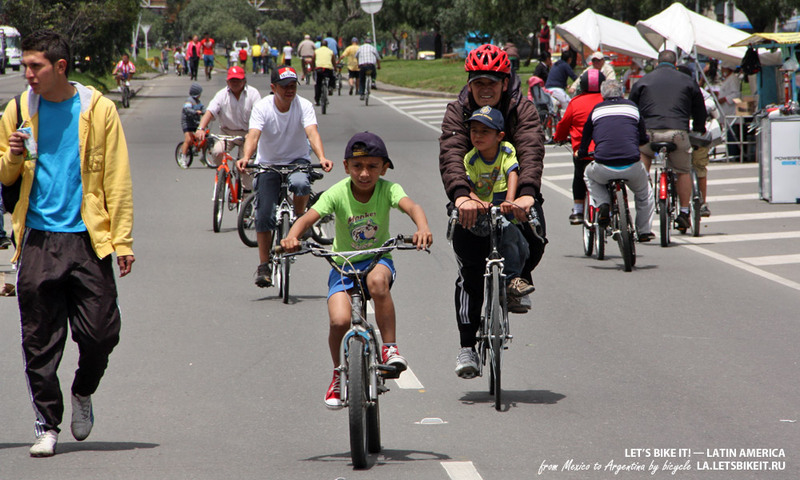 Ciclovía isn’t only about cycling, it includes more than 60 other side activities. It’s of course not a direct advertizing but still attracts people. Different programs which popularize cycling help as well. 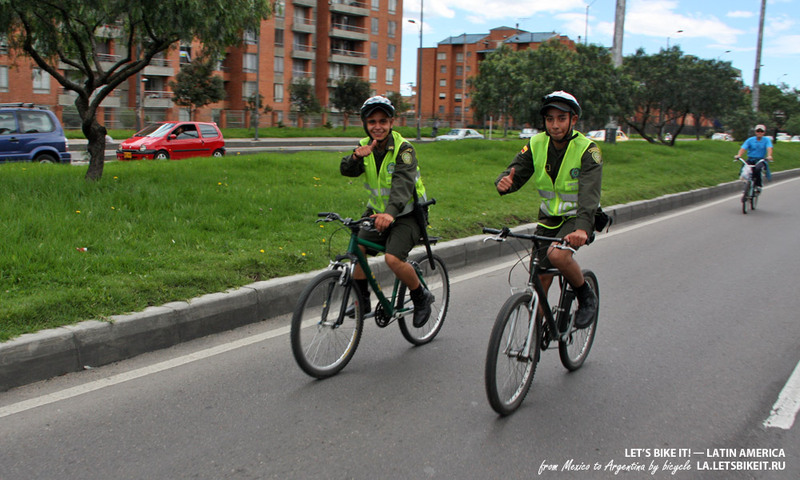 For example, present mayor’s office started the program: “Riding a bike through Bogotá”, which stimulates to use a bicycle in order to get to work or to school. It has an enormous impact on Ciclovía: the more people ride bicycles in everyday life — the more of them will take part in Ciclovía. A bicycle movement has been developing by united efforts of the society, businesses and officials. Today it’s hard to push through a crowd of cyclists on some sections of Ciclovía. The map of Ciclovía in Bogotá. Press the picture to enlarge. Do you have any plans for developing the movement? Of course we do. (laughs). But it’s hard. We’re in a constant struggle with those who got used to drive cars. There’re some parts of Ciclovía where it crosses the routes of trucks, entering the city, or the routes of public transport, which used by lots of ordinary people during weekends. 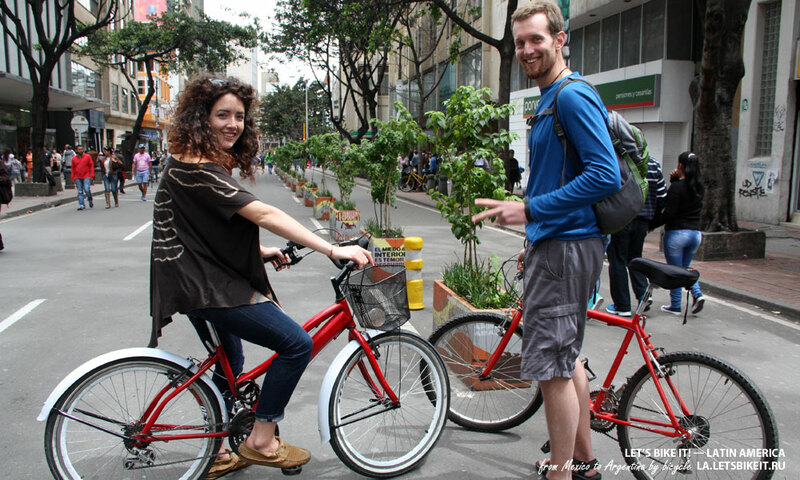 Nevertheless, Ciclovía goes through the most important transport arteries, such as Boyacá avenue, or the 26th street, which joins the center of the city with the airport… It’s was quite hard, but we’ve done it. Yes, Ciclovía on the 26th looks staggering! You’ve seen that, hah? Cool! Have you noticed orange cones along the street? The process of installation of all these things is very labor-intensive. Logistics is another important aspect of Ciclovía. We have 1000 people in organizing committee, but installation begins at 4-5 a.m. every Sunday or holiday. For example, 10 thousand cones have to be installed on the 26th street along the 20 km of the road. I don’t think that somebody does something similar anywhere else. (laughs). Every time we install cones and road signs early in the morning and then they should be removed by 2pm, because cars start moving along the road again. 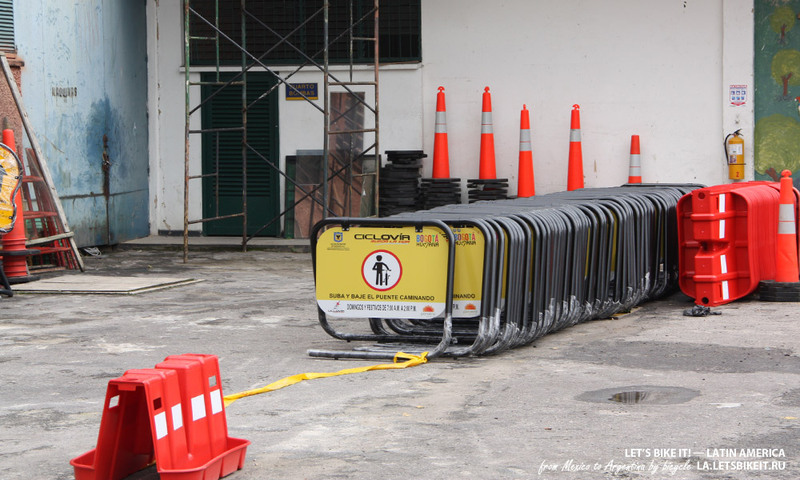 When the event ends not only cones but safety tapes have to be removed as well in order to be used next time. By the way a few words about road signs. There signs are installed on all crossroads. Each one of them has a reminder, saying: “Use a helmet”, “Don’t leave the kids unattended”, “Enjoy your ride, Don’t hurry, take your time!” and so on. May I know, how much such an enormous event does cost? 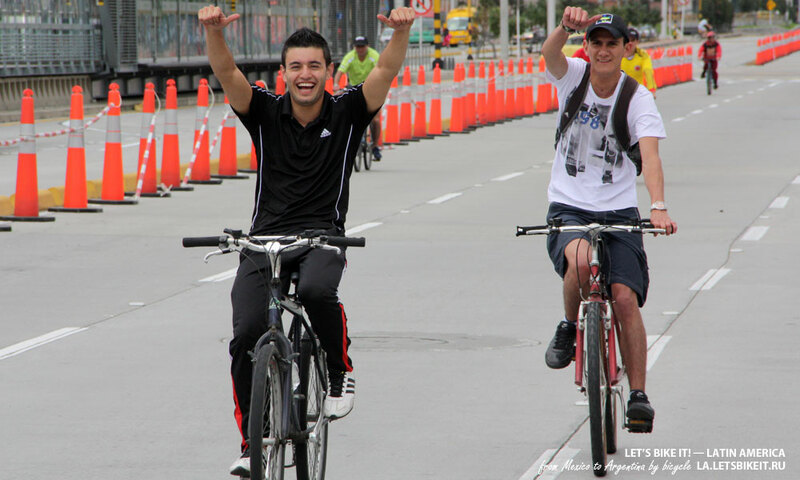 One day of Ciclovía costs 60-70 million pesos (1-1,2 mln rub), depending on planned activities. It’s only 30 pesos per person (50 kopeks) per person! Not even a hundred, only thirty Colombian pesos, can you believe it? There are nonstandard Ciclovías as well. 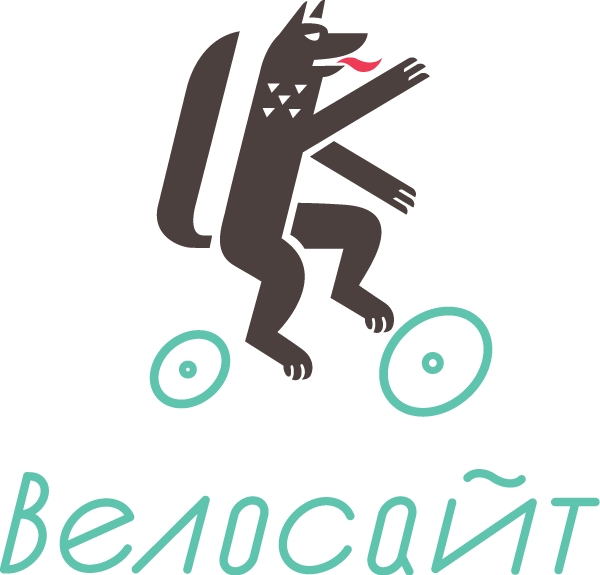 For example, every December in the middle of a week we organize one night Ciclovía (from 6pm till midnight). It costs a bit more, but it involves up to 3 million people. It’s almost impossible to ride a bike there, because many families go outside to experience different cultural events: concerts, theater performances and so on. 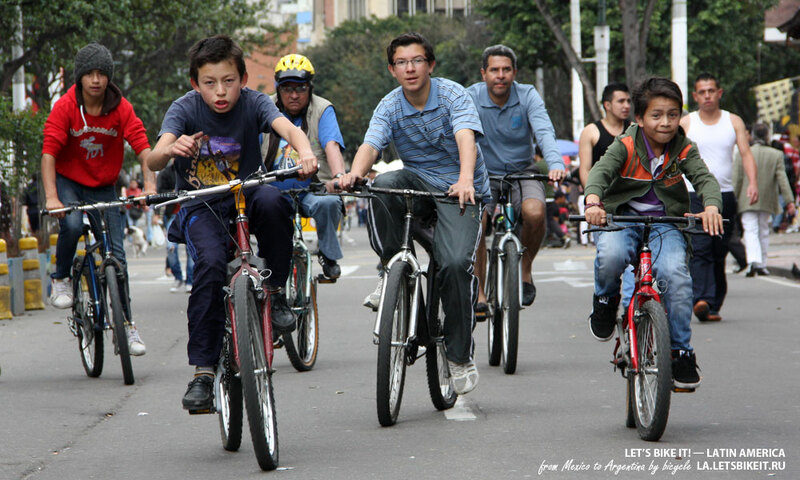 One day of Ciclovía costs from 60 to 70 mln pesos. It’s about 30 pesos (50 kopeks) per person. Evidently, it’s important to have business involved. 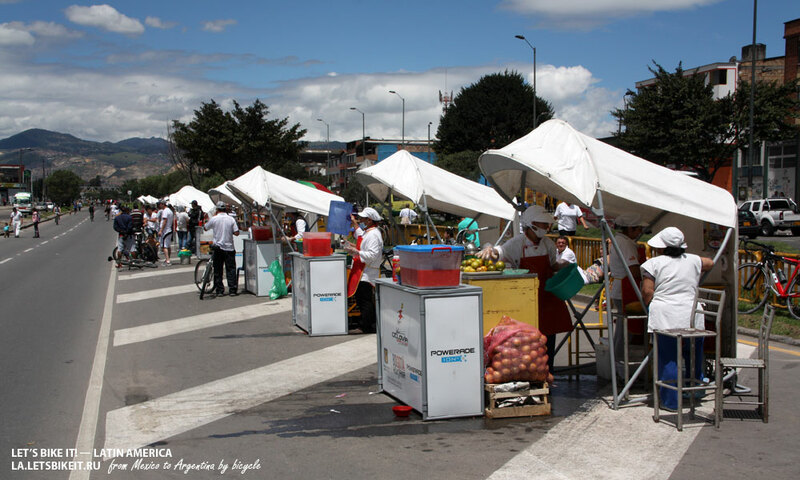 For example, Ciclovía in Bogotá’s supported by a pension fund “Porvenir” and by “Coca-cola”, which provide us with clothing for organizational committee and signal road signs. We and the city as a whole are gaining from such collaboration. 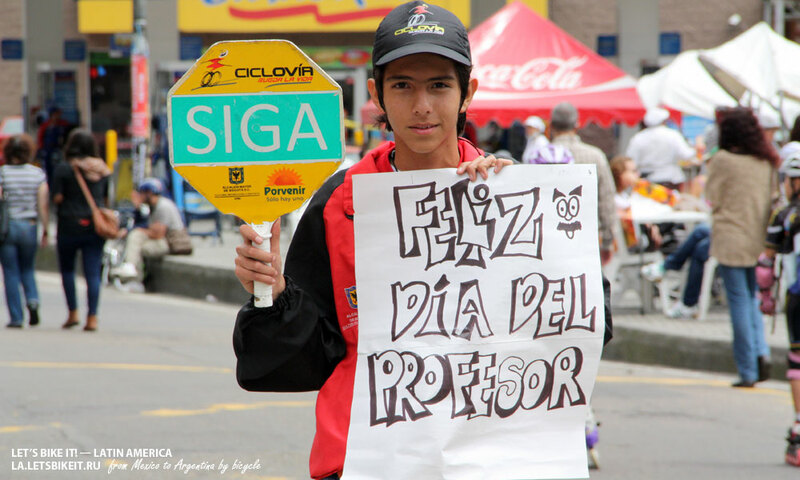 A college student controls the traffic of cyclists and congratulates with a Teacher’s Day. 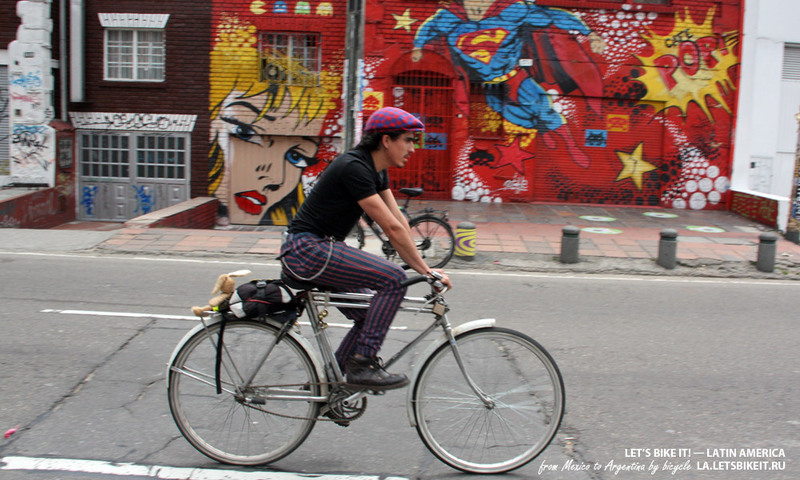 Can you give a few pieces of advice to the cities, which could be willing to organize Ciclovía? Most important is an opinion of townsfolk, they have to say: “Look, we need more space and clean air, we want to be more physically active”. A city needs to see its long-term outlook and benefits, to plan the result for 20 years ahead. 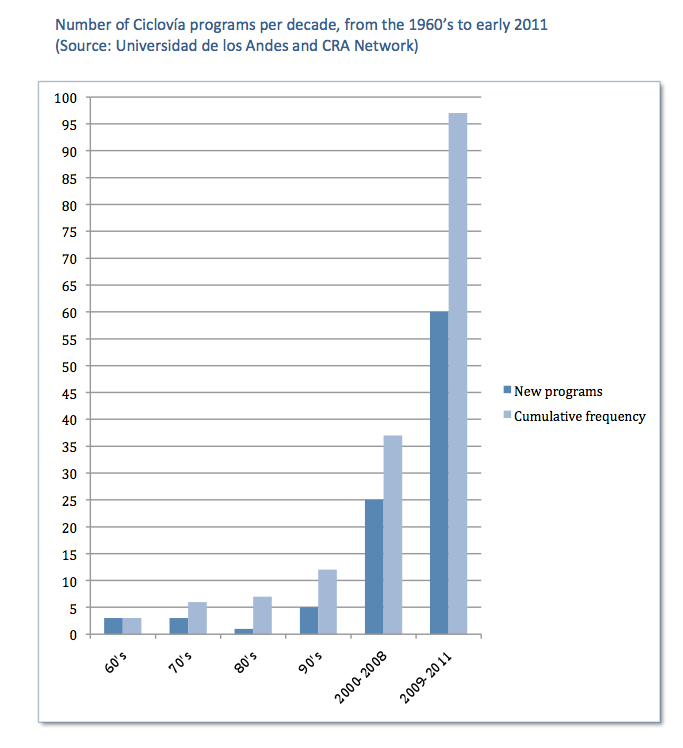 After 39 years of work we can say for sure that the program works in Bogotá. By the way, the more people get involved, the stronger it becomes from commercial point of view. The cities have to recognize not only the burden of changes the routes of public transport, but it’s a good opportunities for business. Ciclovía can sell itself quite good. Therewith it’s good for a city. There’s an organization Ciclovías Recreativas de las Americas which aggregated a lot of information (and economic benefits as well) of how important it is to create Ciclovías in cities. 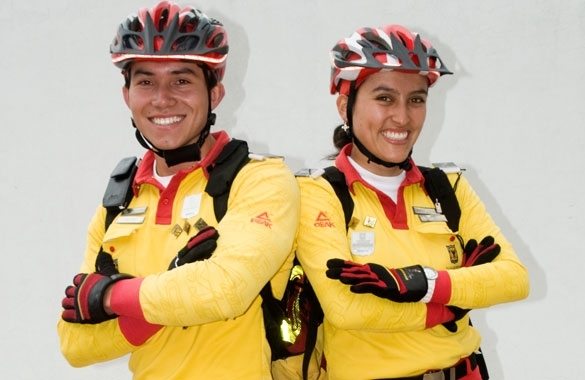 One of Colombian universities counted, that from economical point of view, benefits from conducting Ciclovía in Bogotá estimates more than 30 billion Colombian pesos only in health services! Townsfolk lead more active life, people get less diseases, concerned with gas pollutants and so on. 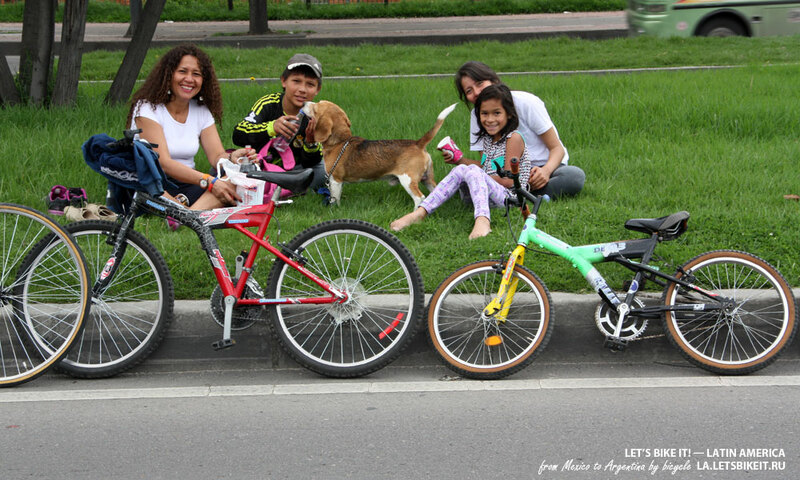 College students congratulate participants of Ciclovía with Mother’s Day. 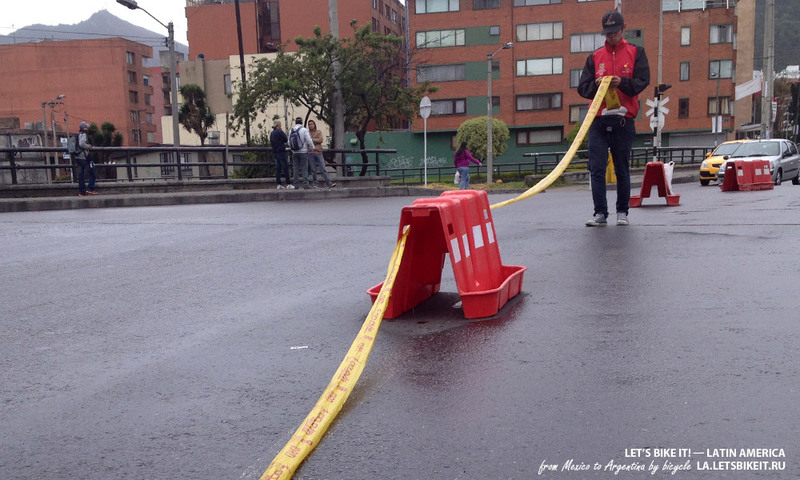 What is more important: the length or the things which constitute Ciclovía? I think everything matters. Accessibility plays an important role. Sometimes, for some reason they take away a section of Ciclovía and it loses thousands participants. Accessibility is a factor we have to fight for constantly. And side-events could be given to a third-party organizations. 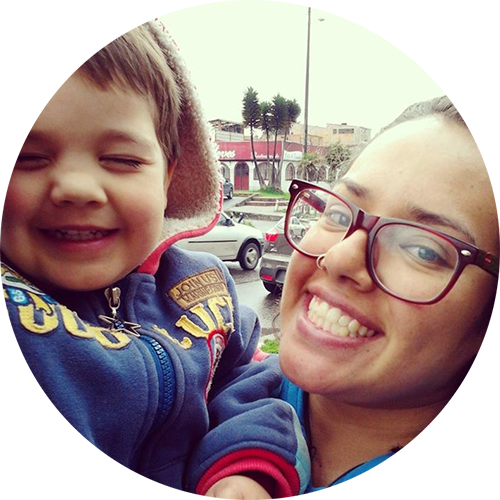 For example, today we’re celebration Mother’s Day, so a spa-marquee will be opened at Ciclovía. One of the complicated sections of a road, where bicyclists occupy only half of the carriageway. Me with Francisco Canon and other employees of the Department of Leisure and Sports. 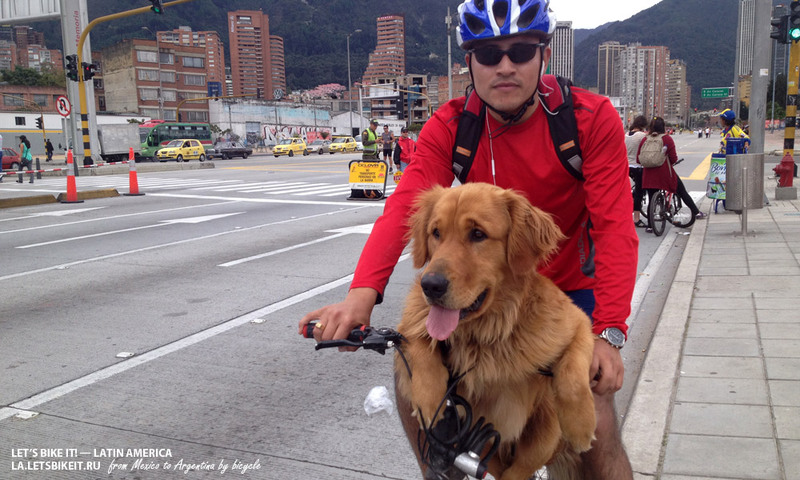 In the end of the interview Francisco presented me with a thick heavy photo-book which captured the history of Ciclovía, sat on a bicycle and followed by his hyperactive dog joined the flow of other bicyclists. And I headed to the northern part of the city to the park El Virrey, where the breakfast with representatives of the Department of transport — Jesus Acero and Catalina from Bogotá CycleChic — was planned. Obviously, they came on bikes as well. A cafe in the El Virrey park. Street musicians on the square in front of the cafe. This’s the only place, where we could forget about everyday life, escape for some time from the chaos of a big city, such as Bogotá, where intolerance and mess prevail. While being on Ciclovía people change, start to respect each other, forget about troubles at work or at university, they open themselves in sports, enjoy their city. 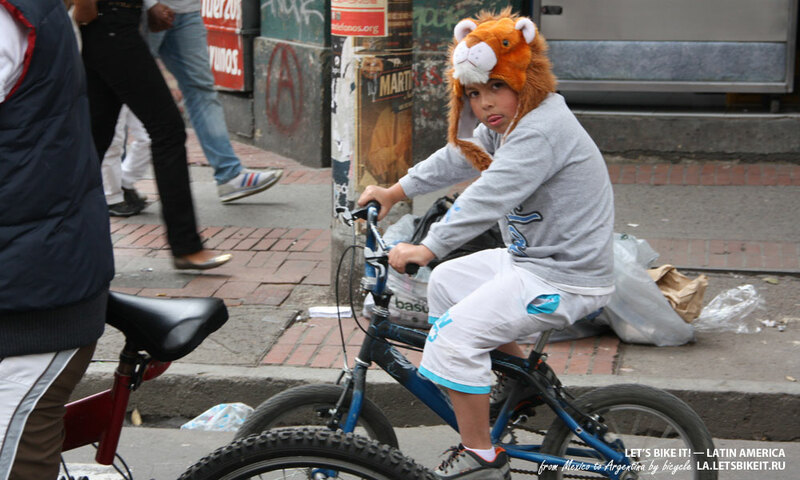 In a word, Ciclovía is another face of Bogotá. 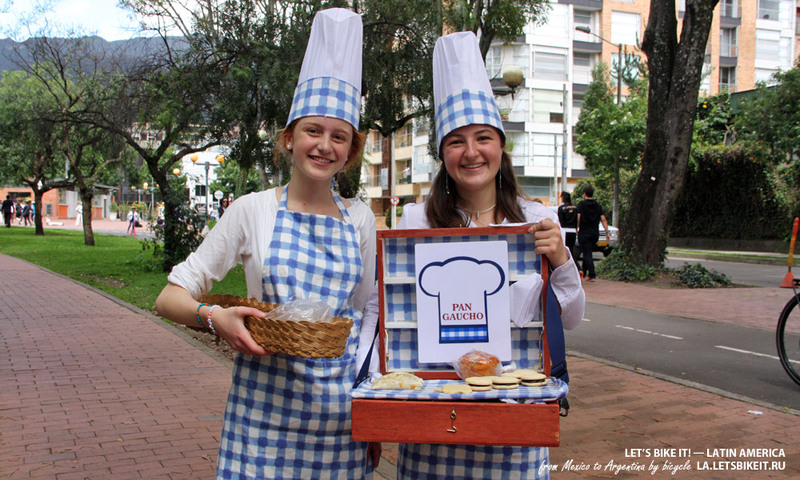 Girls advertize their father’s bakery, sell cookies. 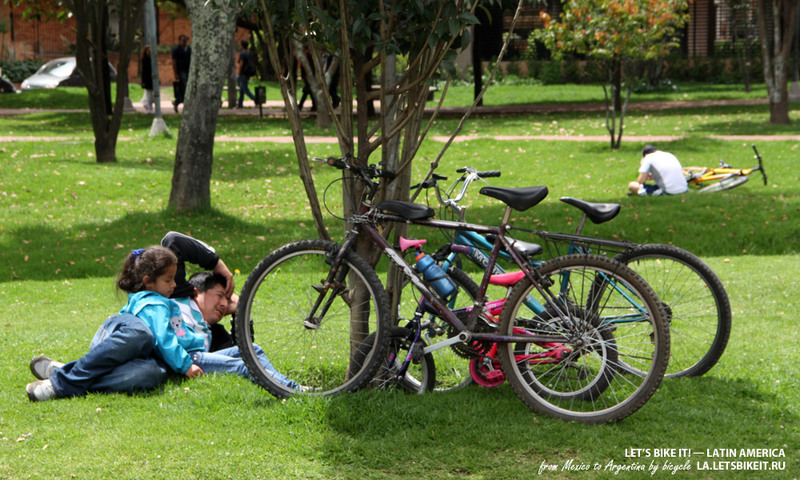 Having rest on the grass in the same park — El Virrey. The increasing number of cities, where Ciclovía’s conducted. According to Francisco Canon, there’re more than 500 cities in the world, where Cilovia’s conducted. 57 of them are in Colombia. The experience of Bogotá was inherited by majority of countries in Latin America: this’s the place where the event gained the peak of possible success. Other countries are hard on heels. Ciclovía’s also held by citizens of New York, San-Francisco and LA, Vancouver, Melbourne and Paris. 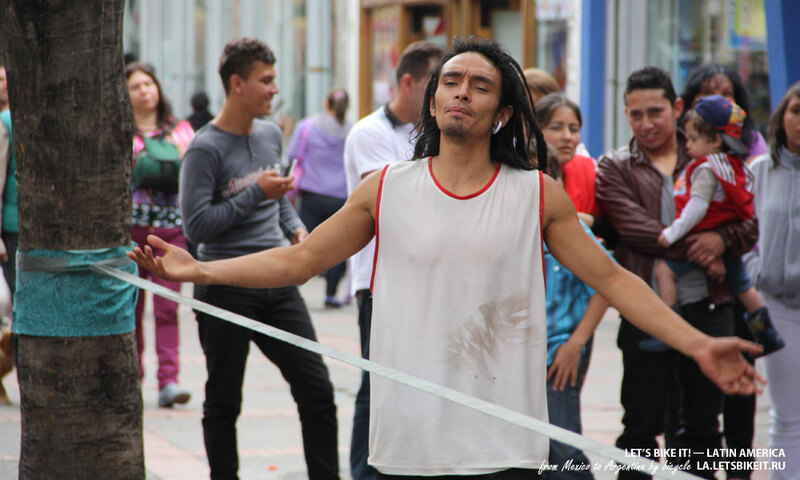 And though names of the event and its content differ (in some cities it’s held during warm seasons only), the purport is the same — the streets are closed for motorized transport, and instead of cars they have bicycles, pedestrians, sports and cultural activities. 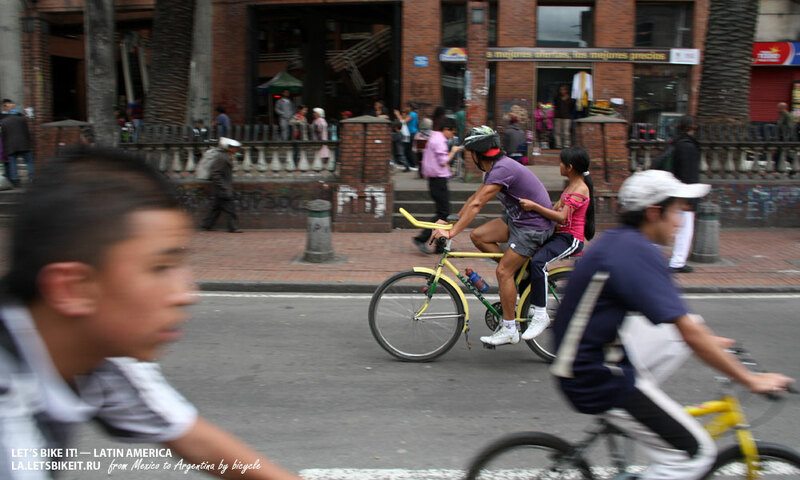 The people of Bogotá are in love with Ciclovía and proudly repeat a phrase, broadcasted on a radio in 1997: “Bogotá is far from any sea, but still has Ciclovía.” There’s a reason to be proud, definitely, the phenomenon of Ciclovía, which spread around the world at the speed of geometrical progression, was called “the epidemу of a healthy lifestyle”. 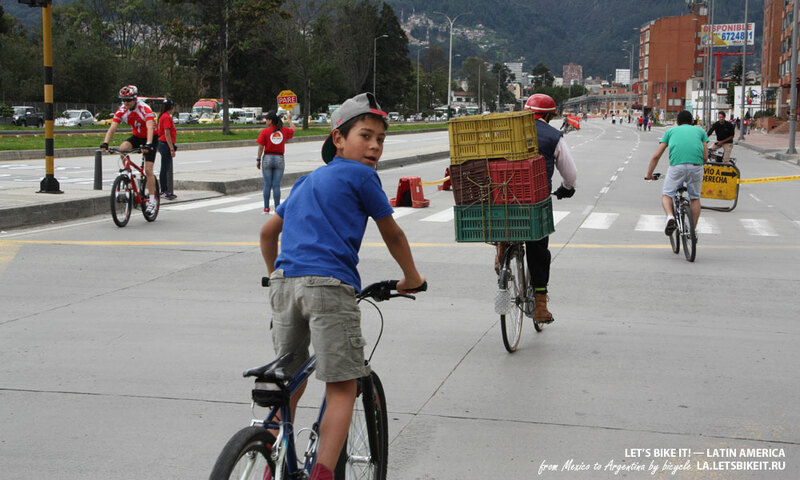 Bogotá, once being one of the dangerous places to live, created a project, copied by more progressive and safe cities. Safe and welcoming, cars-free area, which gives families the opportunity to enjoy the city. Rejoin! 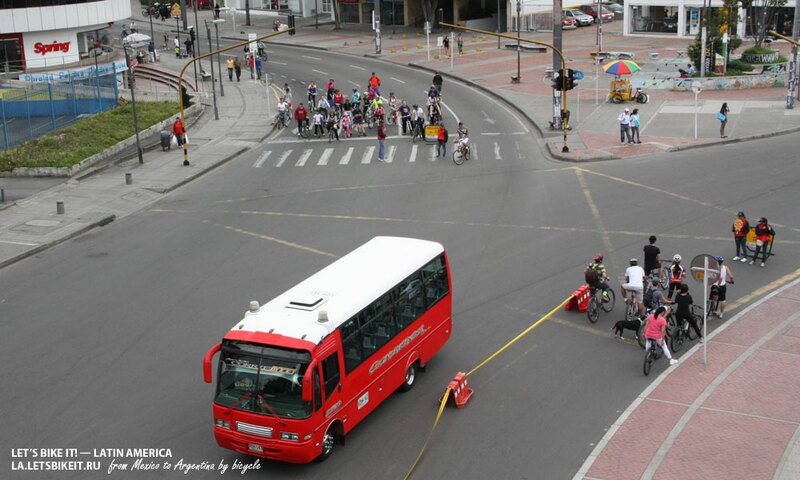 An attempt to hold an event similar to a Colombian Ciclovía was taken in Moscow on May 11, 2013. 3.5 km of roads were closed for cars and 3.5 million rubles were spent, three to ten thousand people took part. In the end of the summer the event was repeated, but the name and contents were far away from the initial idea of Ciclovía, it turned into a festival of subcultures. The hope still remains, that Moscow officials will follow the example of their Colombian colleagues by using safety tapes more than once, and the other Russian officials will hear and see a rapidly growing bicycle movement in Russia. 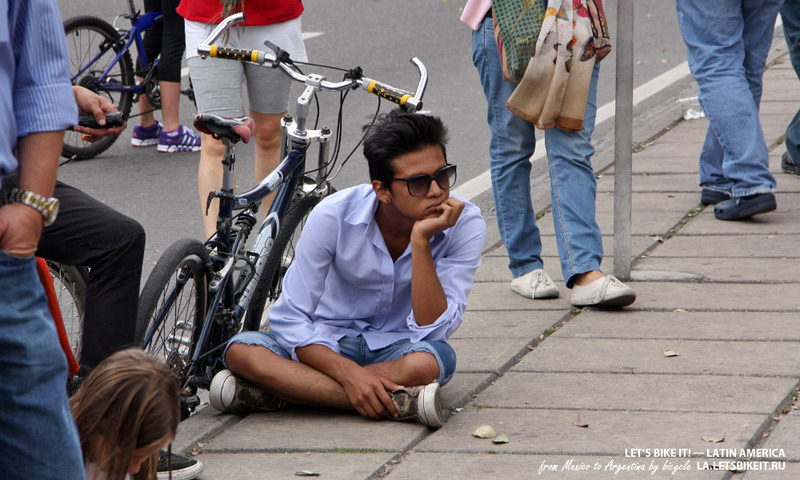 On February 6 another annual festival “One day without a car” will be conducted. From 6.30 in the morning till 7.30pm it’ll be restricted for drivers to use their cars. 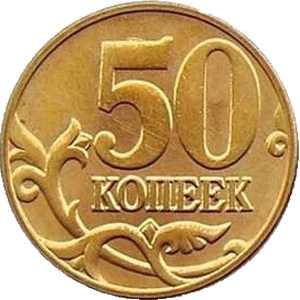 A fine of 380 thousand pesos (5500 rubles) will be imposed on infringers. It’s offered to use public transport, taxis and bicycles. Besides, a few streets will work in Ciclovía format, they will be open for bicycles only. 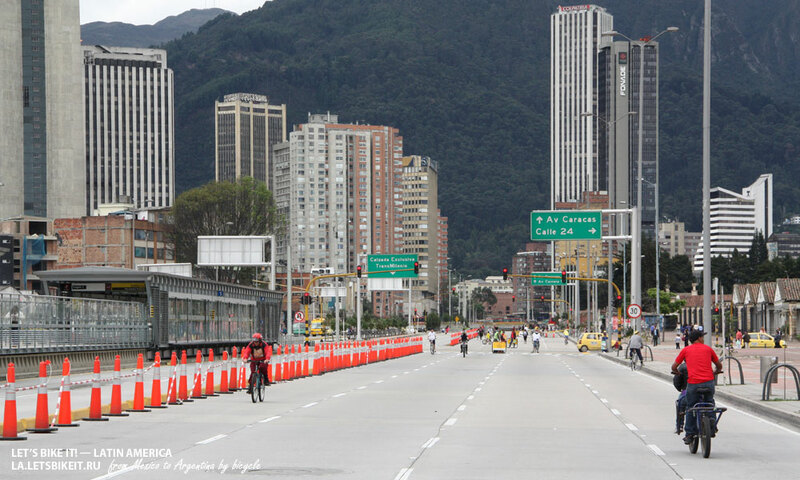 According to the Department of Transport of Bogotá, 1.5 mln cars will be stayed at home.